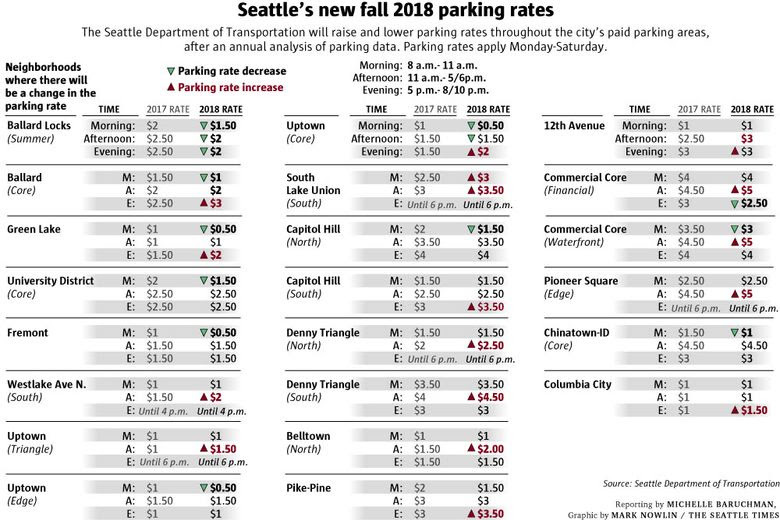 The adjustments are being made throughout Seattle’s 34 paid parking areas, after an annual analysis of city parking data. Traffic Lab is a Seattle Times project that digs into the region’s thorny transportation issues, spotlights promising approaches to easing gridlock, and helps readers find the best ways to get around. 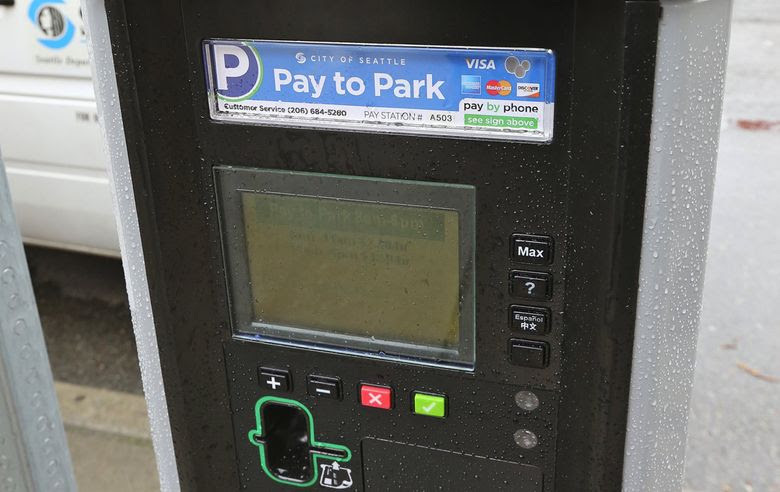 It is funded with the help of community sponsors Alaska Airlines, CenturyLink, Kemper Development Co., NHL Seattle, PEMCO Mutual Insurance Company, Sabey Corp., Seattle Children’s hospital and Ste. Michelle Wine Estates. Seattle Times editors and reporters operate independently of our funders and maintain editorial control over Traffic Lab content. This entry was posted in Uncategorized and tagged homes for sale, market trends, parking in seattle, parking meter, parking meters, parking pay stations, Real estate, Seattle, seattle parking, transportation, urban planning. Bookmark the permalink.